The setting of encoder won't remain saved after exit form EAC. 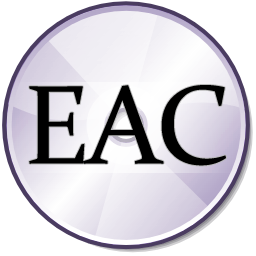 The reg file EAC.reg is overwritten each time you start EAC, restoring the default settings. Edit EACPortable.ini with ExternalEncoder=Custom to keep personal settings for encoder. Tested working, if not you have not the required .net Framework. I've just used this and it does not save the result from the AccurateRip test. Specifically, when I first run it, I get a prompt asking me to insert a CD in order to detect the read offset. I do that and it completes successfully, allowing me to rip CDs with AccurateRip verification. But when I close the app, it forgets everything about AccurateRip and it asks me to do the process again. Tested working on Windows 10 x64. I agree with neatshoe, the AccurateRip results are not saved. The eac.reg files had no entries in the [HKEY_CURRENT_USER\Software\Illustrate\dBpowerAMP], where the results are stored. I tried adding it manually and to the real registry, and it just removes it from the eac.reg file, and doesn't help. The key name varies, depending on your drive letter, and name, so maybe the portable app configuration doesn't allow for any drive letter/manufacture/cd drive? I have the same problem as Mark Hops: CTDB plugin seems faulty, and I can choose Built-in freedb engine as the only option available for a CDDB search-engine. I checked EAC.exe.manifest, it belongs to the EAC folder but I can't understand if this file is corrupted. I don't think it's a matter of .NET version, because the issue recurs for different computers, with different versions of Windows. But I could be in error. Thanks for reporting bug (missing PluginHandler dependency in EAC.exe.manifest). Installer updated with good EAC.exe.manifest and latest encoders. Is there some work around for this? Only possibles actions are availables and if you don't insert an audio CD in the selected drive, most of menus are grayed. Eac portable is not available. Link is dead?